This is me Sarah mum of 3: Easter Crafting - The unconventional Way! 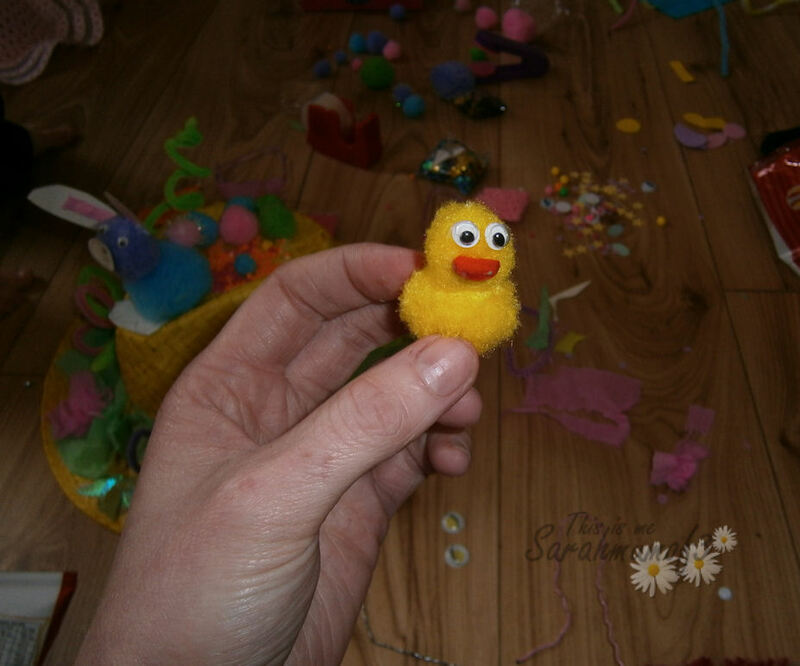 Easter Crafting - The unconventional Way! I joined Pinterest last night, and was met with a sea of beautiful images, lots of amazing crafty ideas and elegant photography, beautiful Easter bonnets and craft ideas, bright coloured paper and pretty designs galore! So met with a new found inspiration, and pastel coloured beauty in my mind, we set about making our own Easter Bonnets! 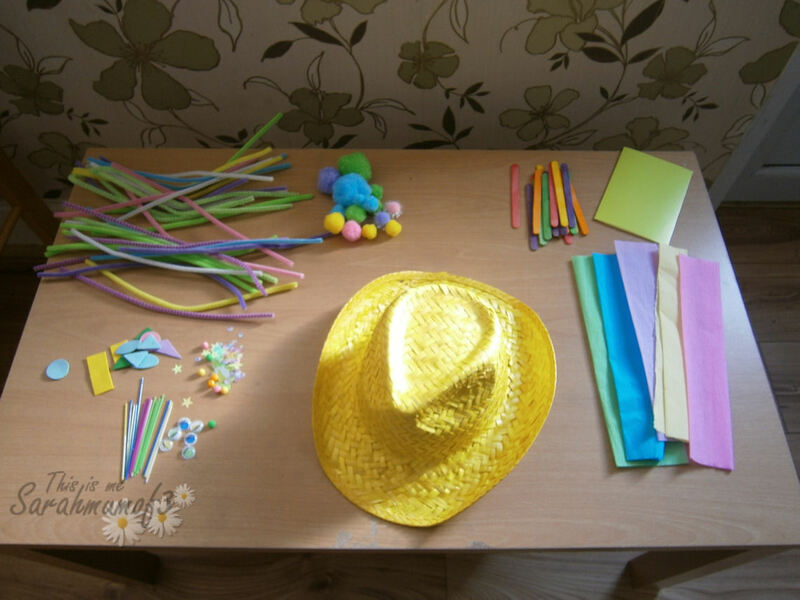 We set out a lovely display of pinks, purples blues and yellows the subtle colours that instantly remind you of spring! 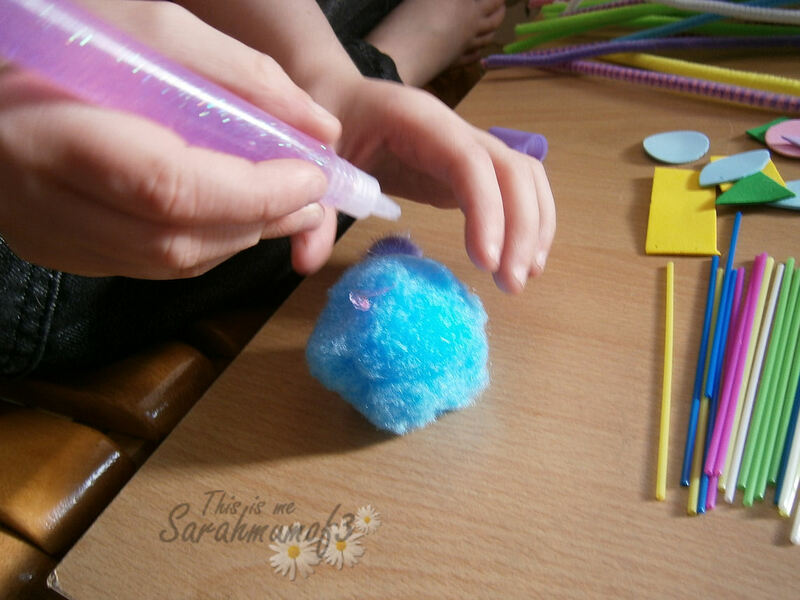 Pipe cleaners, crepe paper, pompoms and googly eyes a plenty, glitter glue pens and craft glue to make the wonderful visions come to life. I would consider myself quite artistic, I love to draw and take photos, I love to edit them on the computer and make beautiful designs but when it comes to hands on crafts, with scissors and glue I'm not the best. So for the sake of every ones sanity I cheated and brought plain bonnets to decorate. 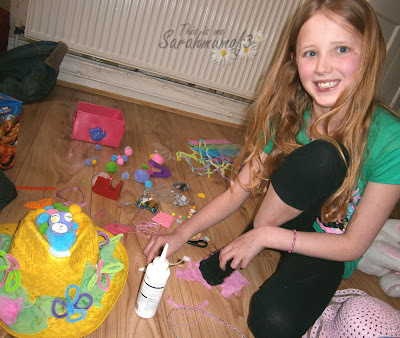 Chloe adores all things paper and glue like, never really managing to make anything worthy of grandeur but she does enjoy snipping the PVA pieces into even smaller shapeless pieces, and covering everything in arms reach with splodges of glitter glue - which is it just me, or is that stuff simply not that sticky?! Anyway, we got on with the decorating, trying hard to encourage creativity in a way I could display proudly to be in line with the beauty on Pintrest. What about making a Rabbit? or a Duckling? or how about pipe cleaner flowers? But it is so much harder than it looks! 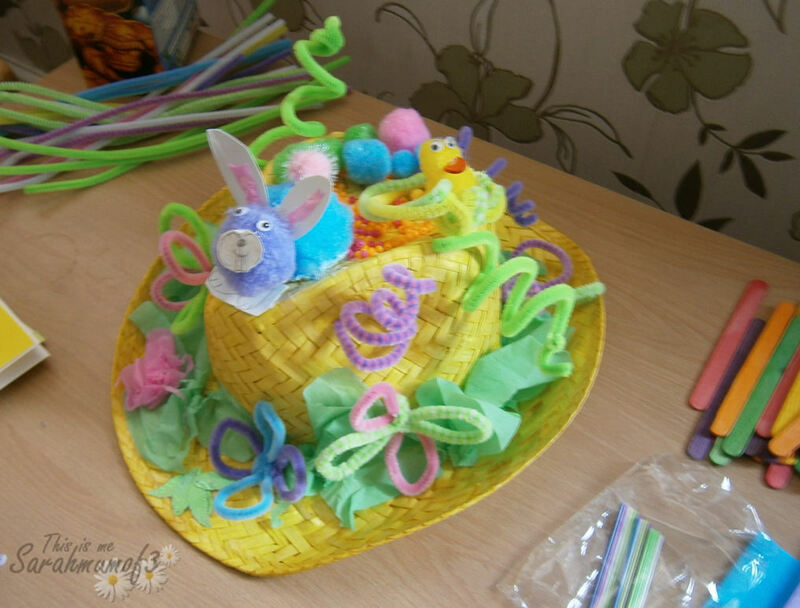 with the unsticking glitter glue covering everything and the input of many little hands our Easter Bonnet finally was finished! It may not be uniformed in design, or marvel the great prize winning bonnets displayed with pride on pinterest but it provided us alot of fun!